How good is your observational power? Its time to test your observational skills with the observational brain teaser for genius minds. In this Puzzle there are many containers connected with each other. Water slowly started pouring in container A. 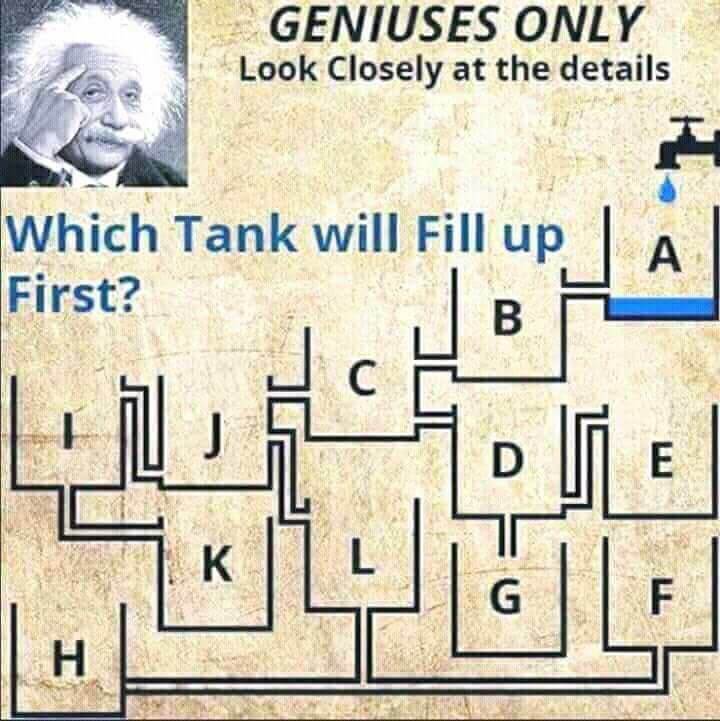 Can you observe this Picture carefully and in details and tell which container will get filled first in the puzzle picture? 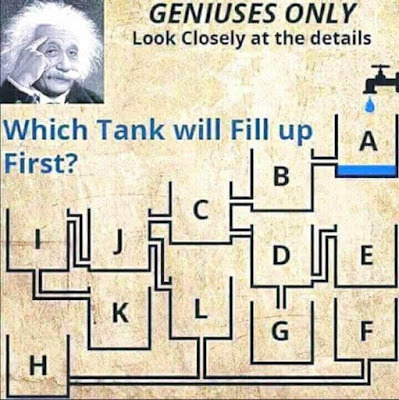 Which Tank will Fill up First in this Puzzle Picture? Answer of this "Observational Brain Teaser for Genius Minds", can be viewed by clicking on button. Please do give your best try before looking at the answer.